What a weird time it is for the movie fairly tale. Earlier this year we received Hanna, a violent story of a young female assassin set in a phantasmagoria of Grimm’s Fairy Tales. Still earlier, Catherine Breillat (who directed this film) gave us Bluebeard, a decidedly more subtle but still violent look at a young girl who is married off to a man who is killing off all his other wives. 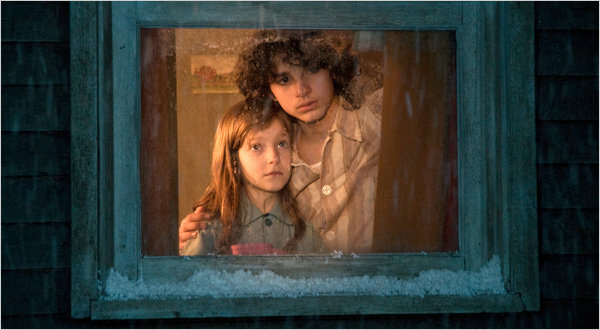 In that film, we saw a girl escaping the confines of poverty and repression by running into the arms of a monster. It was a grimy, extremely low-budget film driven more by its ideals than its aesthetics or its actors. Breillat is an important filmmaker of exceptional talent, so the film turned out much better than it should’ve. Her feminist take on fairy tales extends now to one people are much more familiar with, if only because of Disney. The Sleeping Beauty is not the story of a girl saved by a prince, nor is there an epic duel or even a central villain or conflict. 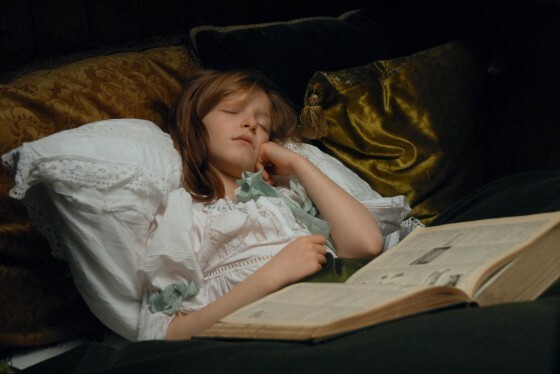 Breillat’s retelling of Charles Perrault’s fairy tale explores the emerging identity of its cursed young girl instead of having her sleep while life goes on around her. Once she moves past the awkwardly straightforward beginning, where an old, evil fairy puts a curse on a newborn baby before the three good fairies can stop her, the movie enters much weirder, more entertaining ground. To save the young Anastasia (Carla Besnaïnou), those three fairies lessen the fatality of the early curse, instead dooming her to sleep for 100 years instead of dying at the age of 16. While she sleeps, though, she dreams, which is something that Disney never dared to approach. Much of The Sleeping Beauty takes place in Anastasia’s dream world, and finds her initially in the snug confines of a quaint cabin with a new mother (Anne-Lise Kedvès) and a brother named Peter (Kerian Maya). It is here that she creates an ideal vision for herself, where she’s treated more as a boy so she can play and get dirty and have fun instead of learning to behave and dress up. Breillat has never been one to shy away from directly confronting gender relations, and The Sleeping Beauty shows her toying with it more than ever. When Peter wanders off once hearing about the Snow Queen (a curious Hans Christian Andersen tie-in) from his mother, Anastasia follows him. Along her way she meets several unique characters, from a sadistic young Indian princess to an old fortune-teller in a tent. All of them, of course, teach her something and help her grow. In this way, the story mirrors Alice in Wonderland more than the traditional Sleeping Beauty story. By making Anastasia’s pursuit of her prince take place entirely in a dream, Breillat cleverly deconstructs the Disney-driven princess mentality. This becomes all the more clear when she (now played by Julia Artamonov) ends her 100-year slumber. She awakens to see what both she and we identify as an adult version of Peter (now played by David Chausse). He tells her his name is Johan, and the two fall sort of in love. The pain and emotional awkwardness of this relationship is the movie’s greatest achievement. Breilat throws a terrific wrench in that narrative by having a grown-up version of that Indian princess (played by Rhizlaine El Cohen) show up and seduce the recently-awakened young princess. These provocative love scenes are aided by the excellent Artamonov, who gives by far the movie’s best performance. Like Bluebeard before it, the actors rarely dip beneath the surface emotionally. It’s a story that doesn’t require showy performances, but some of the actors in the fantasy realm fail to make any connection at all. The movie is very well-written, to be sure, but this becomes much clearer when the teenage Anastasia is on the screen. She is now in a world that gradually starts to mirror the modern one, but she is still 100 years in the past. Anastasia’s harsh wake-up call is where the movie ends. Breillat rarely gives the audience a satisfactory conclusion. Unlike Bluebeard, though, The Sleeping Beauty’s ambiguity takes place in a very beautiful world, where the weather and the color schemes morph beautifully with the growing princess. The movie looks like a traditional fairy tale, but that’s where the similarities end. This entry was posted in Reviews and tagged Bluebeard, Catherine Breillat, French movies, Hans Christian Andersen, The Sleeping Beauty by matterspamer. Bookmark the permalink.